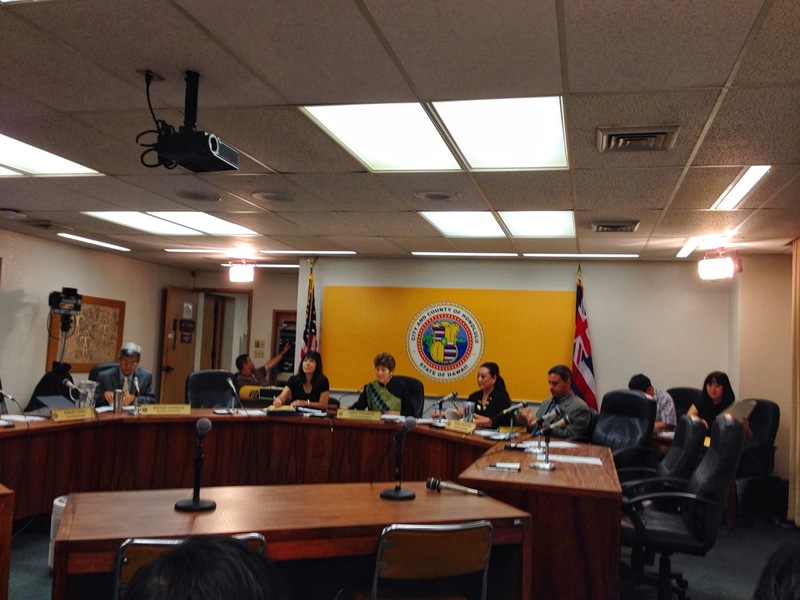 Back on August 7, 2013 Bill 53 (2013): Relating to Open Data, got introduced by CM Carol Fukunaga at a full Council meeting. It got subsequently heard on August 20th in the Public Safety and Economic Development Committee. Bill 53 CD1 then moved on to a second reading in the full Council on Sept. 11, 2013 and successfully passed. The amended change brought the establishment of procedures in from 2 years to one year. On Oct. 29, 2013, CD2 passed through the PSED committee. The CD2 amendment had introduced a timeframe of 180 days for policies to be completed. it also introduced a Chief Information Officer in the Legislative Branch of the City Council. At this latest hearing, I was able to suggest amendments to the bill to 1) remove “of minimal public interest” and 2) rename the legislative branch lead to be called the Chief Data Officer. These changes should appear in Bill 53 CD3. At the time of this writing there was no online version of CD2. In an odd timing of publishing bill information, the CD2 modifications did not make it into the agenda for Oct. 29th. The agenda shows CD1. But at the PSED Committee reading they handed out hardcopies. The next full Council meeting is on Nov 13th where CD3 is planned to be heard. Once Bill 53 passes through this final reading it then goes to the Mayor for signing. As soon as CD3 gets posted I will share the link. Thanks to all who have submitted testimony. We are almost there.